මම දැන් පෙන්නන්නම් අපේ software එකේ අපි දීල තියෙන සහ system default commands බලන්නේ කොහොමද කියල.අපිට දීල තියෙන commands ඔක්කොම බලාගන්න පුළුවන් command list window එක මගින්.command list window එක open කරන system default command එක තමයි "command" කියන විධානය. 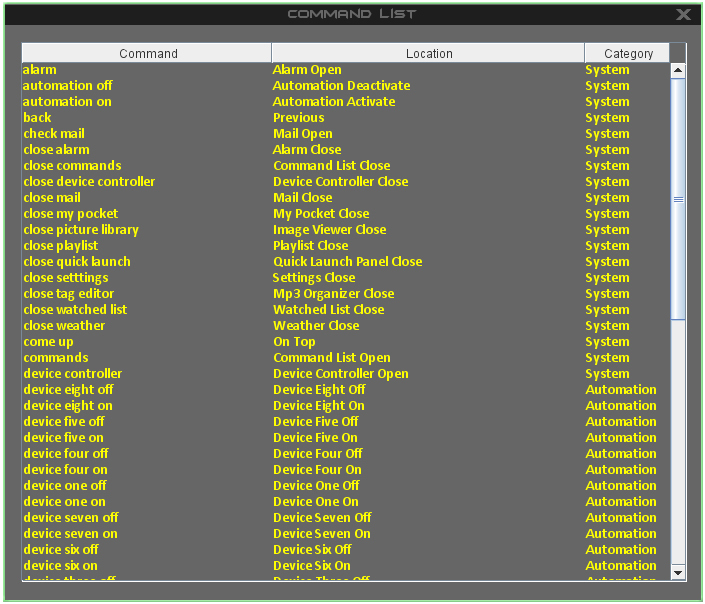 මේ උඩින් තියෙන්නේ command list window එක.එකේ තියෙනවා මේ software ඒක වැඩකරන්න අවශ්‍ය කරන ඔක්කොම commands ටික . මම ඊලග පොස්ට් එකෙන් පෙන්නන්නම් playlist එක සහ watched list එක ගැන.